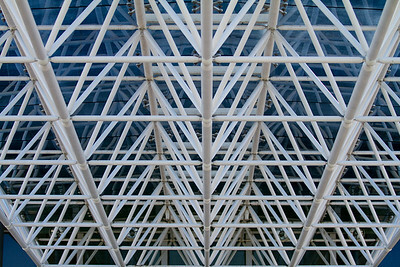 Lattice structure at the entrance to The Udar-Hazy Center - Smithsonian Air and Space Museum's companion facility near Dulles Airport near Washington, DC, USA. 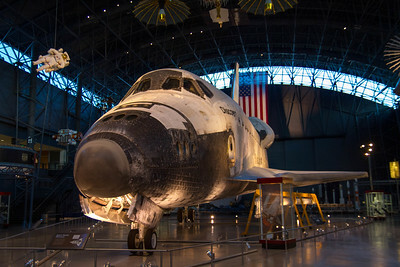 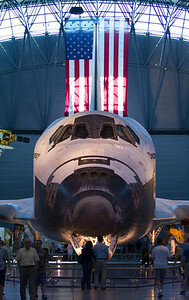 NASA's Space Shuttle Discovery in The Udvar-Hazy Center near Dulles Airport near Washington, DC, USA. 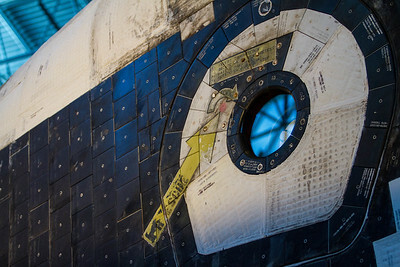 Closeup of the thermal protection blankets that cover Space Shuttle Discovery's upper front portion of the orbiter. 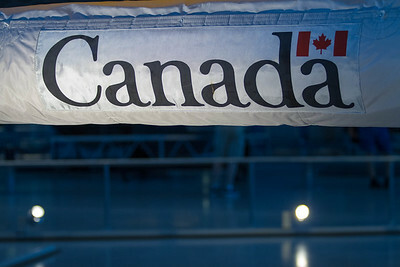 Closeup shot of the Canada patch and the Canadian flag on the Canadarm located outside the payload bay of the Space Shuttle Discovery at the Udvar-Hazy Smithsonian Air and Space Museum near Dulles Airport and Washington, D.C. USA. 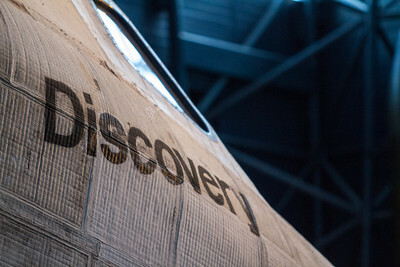 The official name of the Canadarm is the Space Shuttle Remote Manipulator System or SSRMS. 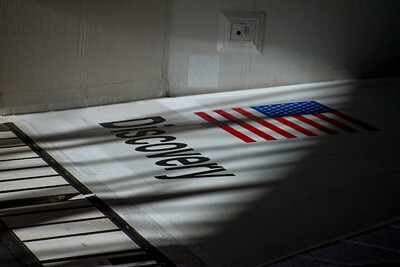 Image of Space Shuttle Discovery's right wing with the sun light streaming through the open hangar door. 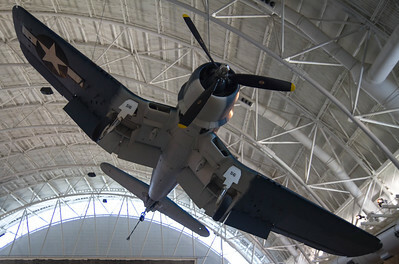 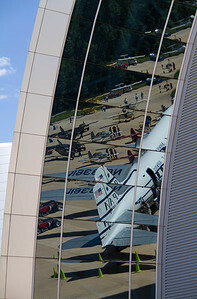 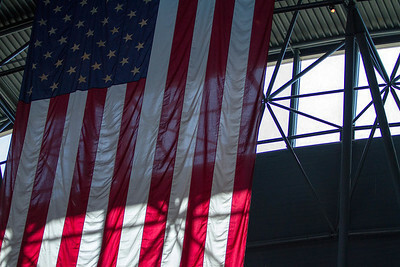 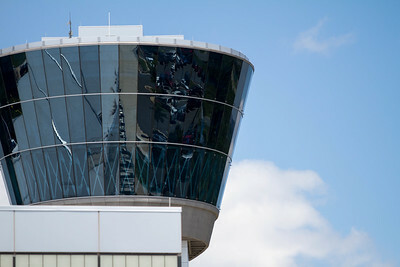 This image was taken the day she entered the Udvar-Hazy location of the Smithsonian Air and Space Museum near Dulles Airport outside of Washington, D.C. U.S.A.